We’re happy to have Anne back with us today. 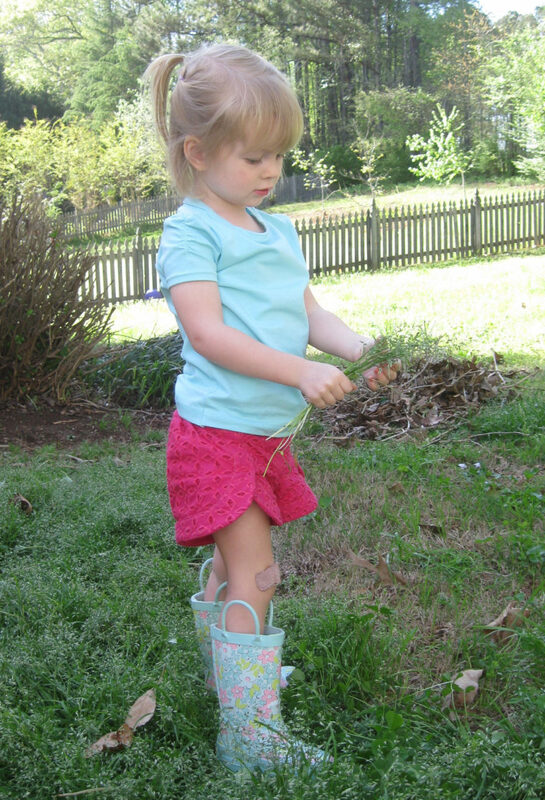 In the past she has stopped by with her Pom Pom Skirt tutorial and her Customizing the Sunny Day Shorts tutorial. Now she’s here to contribute to our favorite Oliver + S pattern series. Thanks so much for being here Anne! When I was asked to write about my favorite Oliver + S pattern it didn’t take long for me to decide which one to pick. There are so many amazing Oliver + S patterns, but one in particular will always have my heart. 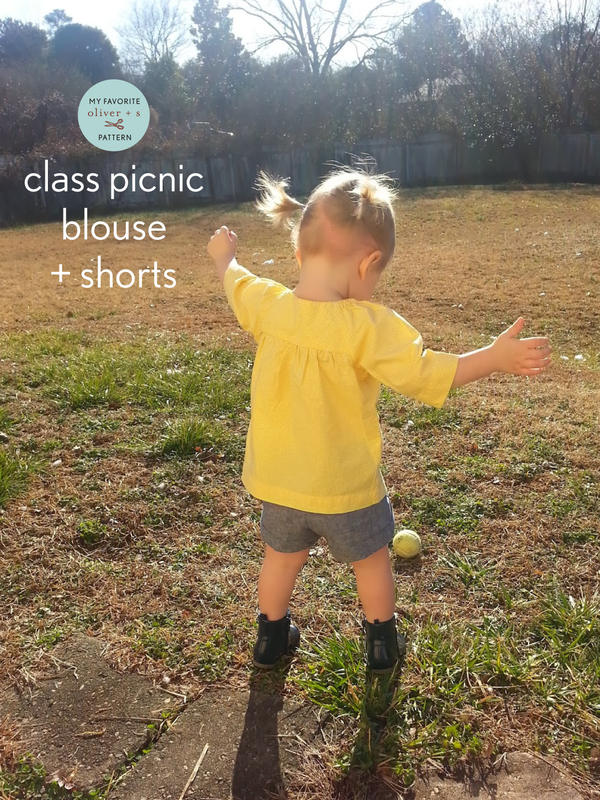 It is the first Oliver + S pattern I ever made, the Class Picnic Blouse + Shorts. 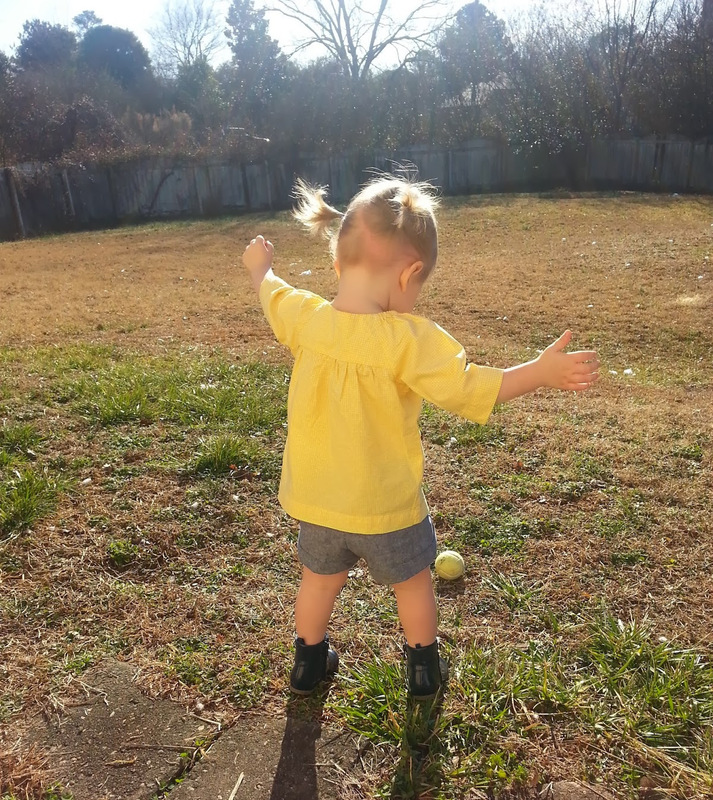 My daughter was only 18 months when I made her the shorts and top from this pattern. 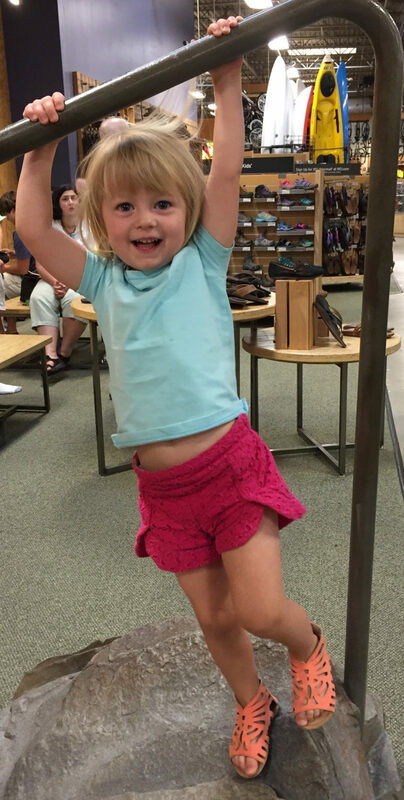 I was relatively new to sewing, and nothing I had made before fit my daughter very well. 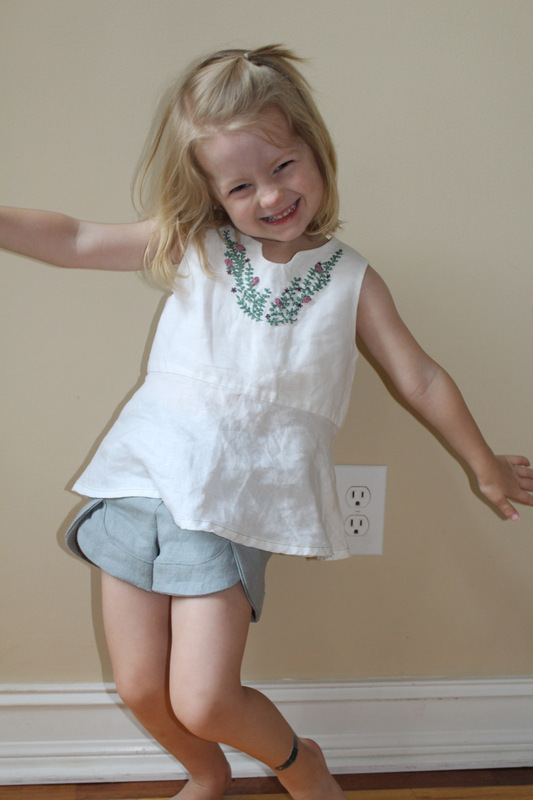 When I happened upon the Oliver + S site I immediately was drawn to the Class Picnic Blouse + Shorts. I especially loved the mock wrap on the shorts. I bought a digital copy and got to work. I used Robert Kaufman Essex yarn-dyed linen and I was completely in love with the finished product. I couldn’t believe I had made something that fit so well and looked so good. I quickly made a Class Picnic Blouse in yellow gingham. I remember loving the blouse even more after I sewed one up. The elastic at the shoulders, the ¾ length sleeves, and the loose flowy fit solidified this patterns as my favorite ever! Six years, and two kids later I still feel the same way. 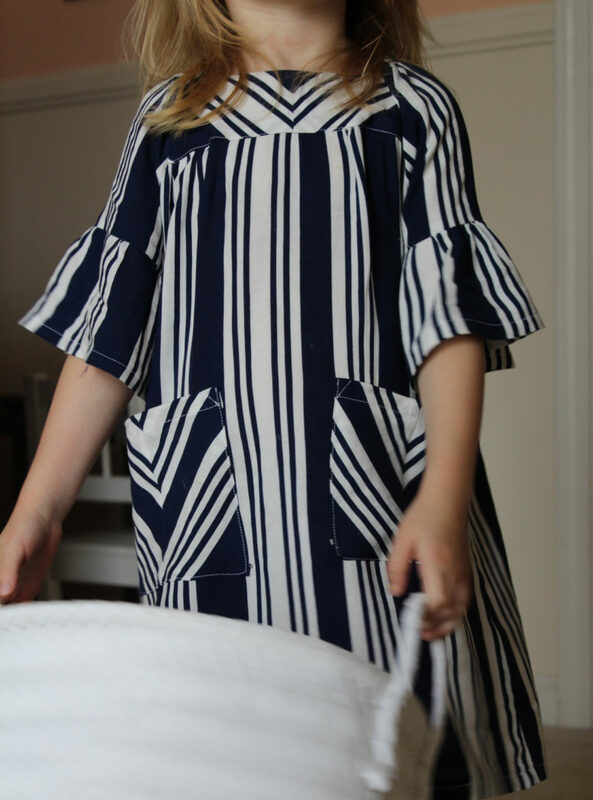 I’ve continued to sew this pattern for my daughter and always love the results. Some of my favorite things that I have ever sewn for her are from this pattern. My second pair I made for her was from a bright pink eyelet. 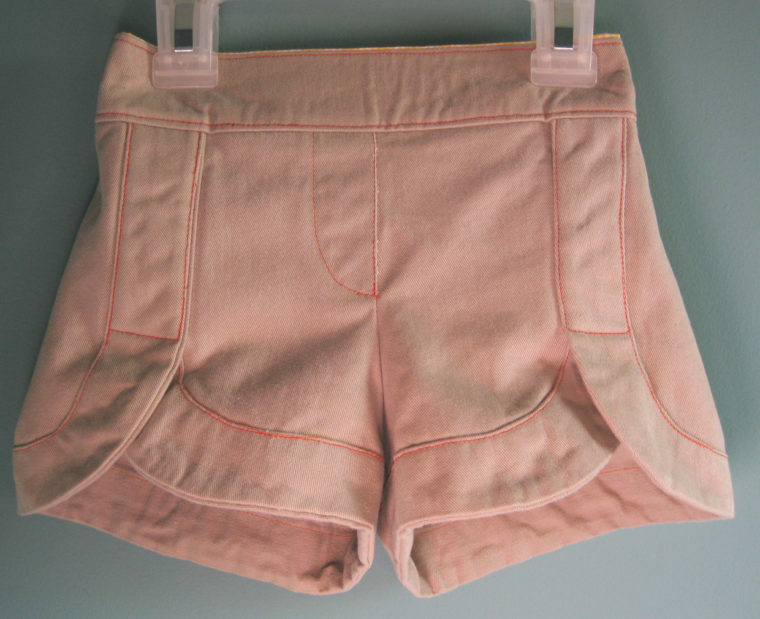 My daughter wore this pair all the time, so I made a third pair that summer in khaki with orange top-stitching. 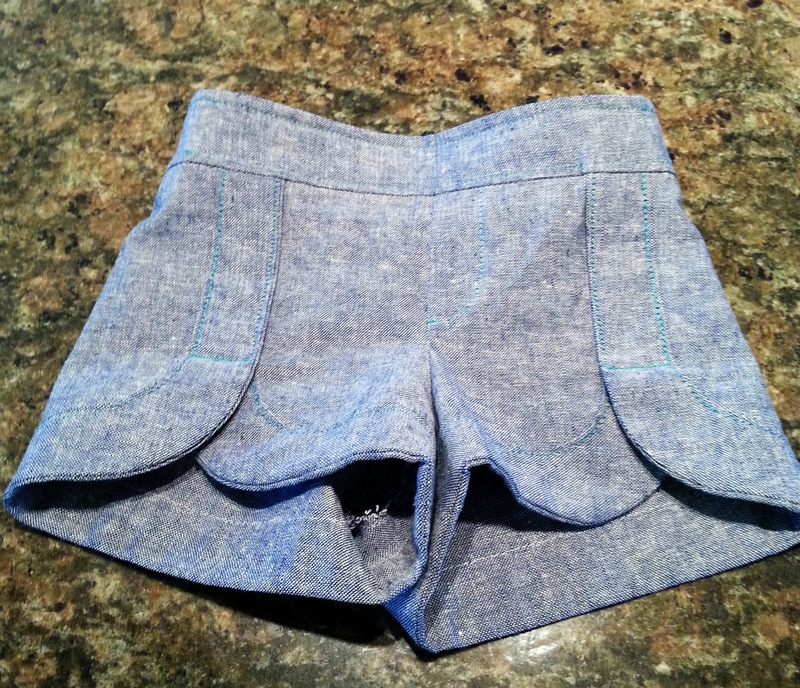 These slate blue linen shorts might be my favorite version. 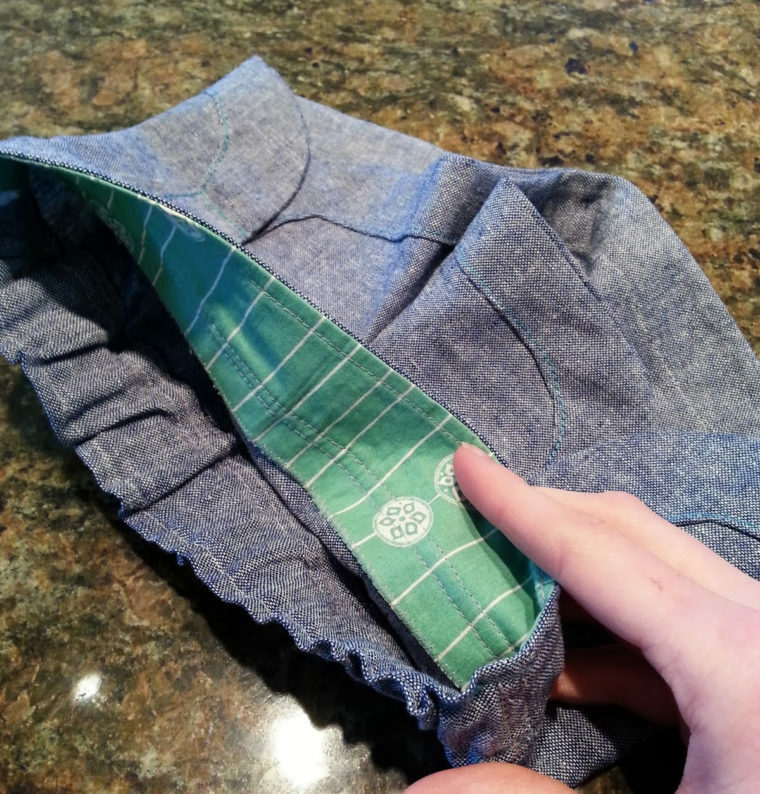 The Class Picnic Shorts lend themselves to so many kinds of fabric but I love making them from linen best. The details of the shorts are what make them great. They always look classic, never go out of style, and give outfits a pulled together look. 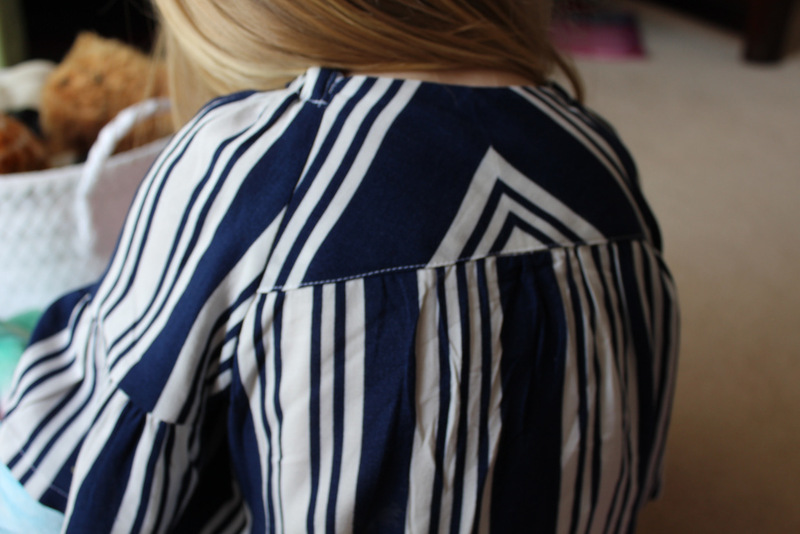 Recently I decided to revisit the Class Picnic Blouse. I made very few changes to the pattern this time. 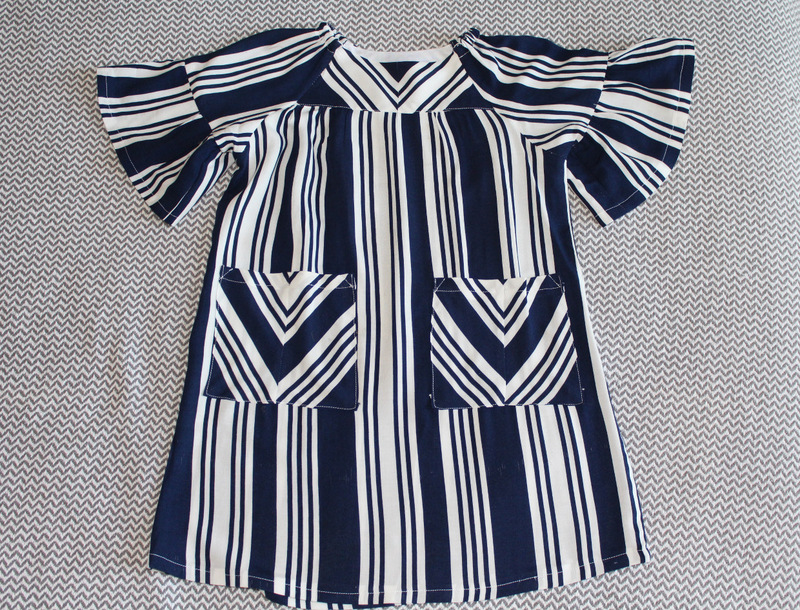 I lengthened the top, added a ruffle to the sleeve, and added some pockets. The yokes were the perfect place to have a little fun with the print of the fabric. I decided to cut them on the bias to create a chevron look. So there you have it. My all time favorite pattern. Hopefully it inspired you to revisit this versatile pattern just in time for Spring! Would you like to take a little stroll down sewing-memory-lane? If so, head this way to see Liesl’s introduction to the Class Picnic pattern from eight years ago!